Before you move on, directly below you will find the tapestry of the Battle of Oakenfall, that was created in collaboration with Travis Fam, the creator of many fascinating comics and art from the Armello universe. Travis (also known as PurpleGround02) has made all of the other art you will find on this page as well. Want to see more of his work? Follow the link below. As to the rest of this page. First you will find the Tapestry and then the Poem I wrote specifically about the Battle of Oakenfall. Further below the more in-depth information about the battle. This is all based on inspiration from the Video Game Armello, and these events are not mentioned in the game per se, but what’s a bit of fan-fiction without fiction? If you wish to find out how the Tapestry was created click here for an in-depth look at the whole work process! From the four clans, only two came forwards. And with the Crone so intent on conquer. They had to show, who was the stronger. For the Crone, the Baron, she desired all. Every clan’s crown an addition to her hall. First was the Lion, she wanted him dead. For with his demise a path to victory led. Who dare make pacts with shadows. The grain was soon covered in ichor. And quickly all run out of vigor. He showed he was no mewling at war. The peasants turned into a joyous rabble. And they knew it will take all their effort. Under one lion’s protective gaze. But… he would be the cause of the very next craze. How do I know? Oh believe me I do. The Rot always finds a way. What was the Battle of Oakenfall? The Battle of Oakenfall was the second major battle in the Armello “Civil War”. The Civil War itself started when Baroness Nubine, due to manipulation and corruption by the Rot, was spurred forward to conquer all of Armello. Before the Civil War Armello was divided into numerous small counties, duchies and kingdoms (this includes the four Clans). It was not a united land. When Baroness Nubine gathered her army, which included numerous mercenaries and brigands, her closest neighbor, the Lion, was not prepared for the sudden war. The first battle of the Civil War was between the Lion and his limited force against the overwhelming army of Baroness Nubine. His army crushed, the Lion was forced to flee with a handful of men-at-arms and knights to one of his loyal villages, that of Oakenfall. The Baroness, frustrated that the Lion eluded the pike that was reserved for his head split her army into a number of smaller groups to find him. Once he reached Oakenfall the Lion warned the villagers (The Retrievers of Oakenfall) of the impending danger, but instead of running away they decided to stay by his side and protect him. There was nowhere else for the Lion to run, but he knew that his meager force would not be enough to defeat the Baroness. He sent out messengers to the Four Clans, begging for their aid. The Bear clan did not answer the plea. The Civil War was just beginning and the bears could not trust the emissary. Perhaps they were being dragged into a conflict against their will? The Rabbit Clan also declined. 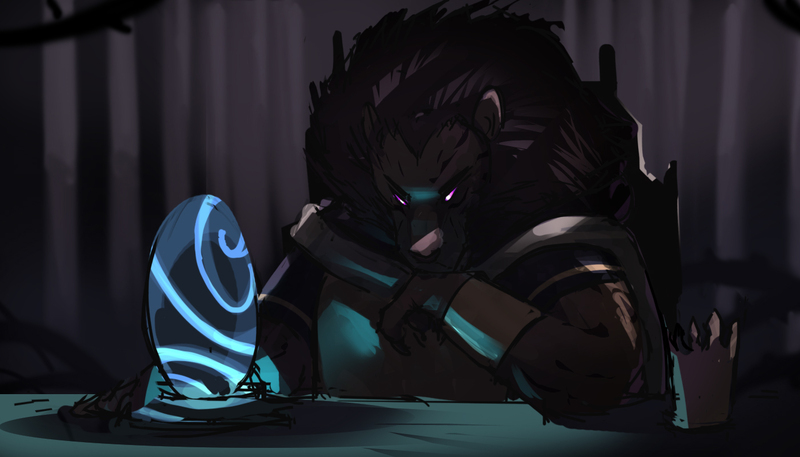 They were one of the Kingdoms present in Armello, wealthy, knowledgeable and relatively powerful. They saw no reason to interfere, as to them it also appeared like a war between two lords, instead of a major conflict. The Wolf and Rat Clans however were the first to hear of the sudden siege of the Lion’s castle, and they were worried of the massive force that Baroness Nubine had gathered. On such short notice they only could send a handful of their men to aid the defense at Oakenfall. At the same time they had to keep stock of their own lands, in case Nubine targeted one of them in next order, so they still kept the majority of their forces in reserve. While the Lion’s new allies were mustering their forces and heading for Oakenfall, the future King of Armello wasted no time. The village was fortified, every villager armed. If this was to be his last stand the Lion made sure he would not fall easily. No sooner than the Rat and Wolf forces arrived at Oakenfall was the location of the Lion discovered by one of the bands under Nubine’s command. Instead of heading back to Nubine and informing her of the discovery the Captain of the force decided to attack the village. He wagered, and was largely correct, that Oakenfall was poorly defended, and that the Lion surely could not have had enough time to muster a larger force than what he fled with from his castle. The Battle of Oakenfall was about to begin. 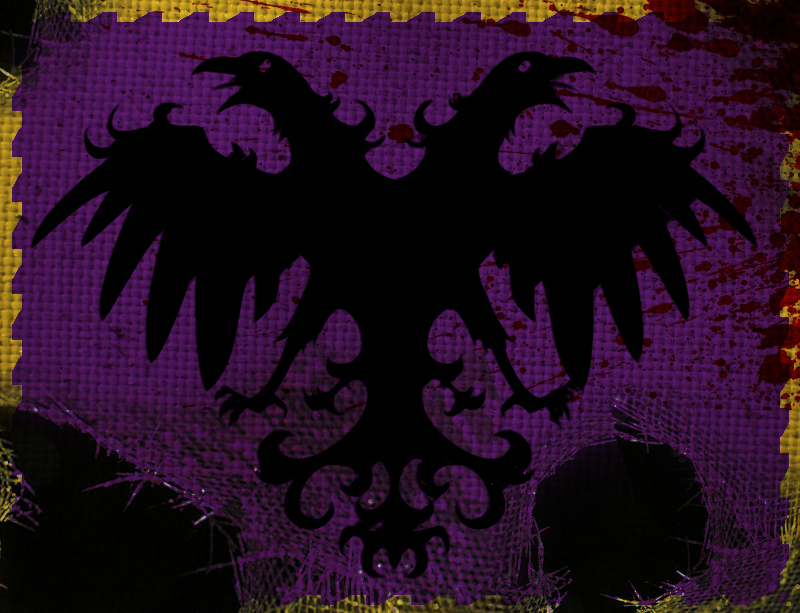 On the side of the Lion was a handful of his remaining knights and men-at-arms, as well as the peasants of Oakenfall. The Wolves sent a number of their warriors, but among them were also more experienced volunteers who refused to remain in reserve. The Rat clan sent a number of its lighter troops, as scouts, spies and ambushers; these were the forces that knew ahead of time, and informed the Lion, of the incoming mercenaries. The same scouts also pointed out that the force approaching Oakenfall was relatively small, meaning it was not Nubine’s main army. The band attacking Oakenfall was composed of mercenaries as well as Nubine’s own men-at-arms, all under the command of an unknown Mercenary Captain. Intent on the element of surprise the Mercenaries charged forth, almost as soon as they arrived, expecting that the villagers of Oakenfall would not be prepared for their sudden attack. This is also why the Captain opted not to use his archers. Releasing even a single salvo of arrows might had alerted the villagers to their presence. Instead, if his men descended on the unprepared villagers victory would be assured. To their surprise, sallying forth from their defenses, at the head of a weary mob of angry peasants, and joined by his lupine allies, stood the Lion. There was no time to formulate a new strategy, and with their target clearly in sight the Mercenaries clashed with the Lion’s forces at the grain fields of Oakenfall. As the two forces met the Rat scouts struck from the flank and rear, trying to sow chaos in the enemy’s ranks, but it was not enough to give the Lion’s men a clear advantage. At the same time however the archers belonging to the mercenaries were unable to effectively aid in the battle, as the two armies were already fighting at arm’s length. Still, the tide was turning in favor of the attackers. The inexperienced peasants, with no training or proper equipment were of no match to the mercenaries and Nubine’s men-at-arms. But as his force was about to collapse the Lion personally killed the Captain of the mercenary force, and with their leader dead, a clear boost of morale to the Lion’s forces, the Mercenaries quickly broke and fled. No chase could be made to stop the fleeing troops from reaching Nubine, but at least the Lion and his allies won a brief respite. Firstly, it saved the Lion from certain death by Nubine’s hand. Secondly, it was the first small step toward a unified front against Nubine, and in the long-term a unified Armello. After the Civil War the Lion would elevate the status of the peasants of Oakenfall, and many of them would then join his personal guard. That is how the King’s Guard would come to be.